Bloggers, designers, IT professionals, Freelancers everybody is looking for the best screen capture and screen recorder software hence today we have reviewed a simple and powerful tool – Snagit which captures everything and anything on the screen. TechSmith Snagit advanced algorithm and intelligent system not only allows you to record your screen but you can also edit images as well thus you are able to create a high-quality image and create awesome videos using Snagit. Why we need screen capture software? Plenty of free screenshot tools are available for windows and mac pc and you can also take screenshots by using the shortcuts as well. 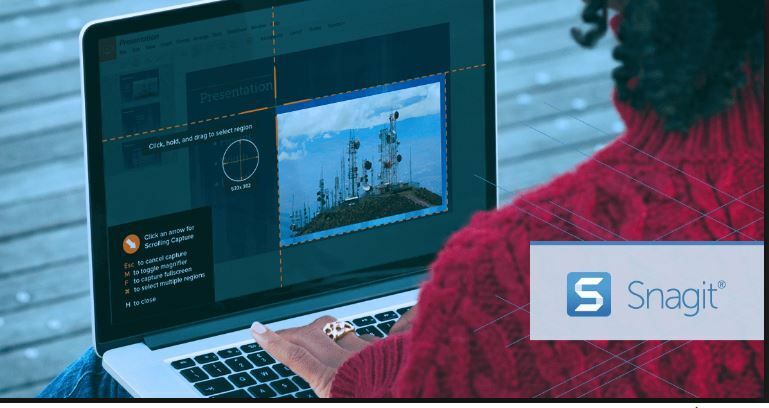 We strongly recommend Snagit as those free tools can’t do all the task that you will get in this professional tool like capture video, editing images hence we advise you to download and test the software. Why is Snagit the best screen capture software? 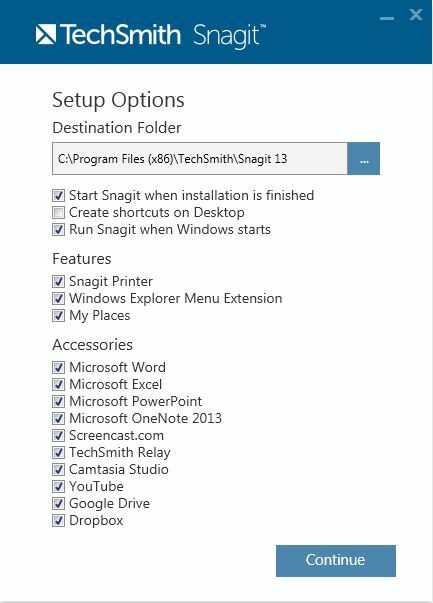 With a download size of 100Mb Snagit is really easy to install and use but you should keep an eye on installation as Snagit integrate with other applications installed on your system which you can disable if you don’t have any use. Once the software is installed on your system you can start using. Interested in capturing an entire screen, a web page or applications installed on your system now you can capture everything. Capture the horizontal and vertical scrolls is yet another amazing feature of this software which can’t stop the user from buying it some people wants to capture full chat. Screen Recorder – Easily record each and every step.Download your favorite video, audio from around the web and save all recording as MPEG -4 files or animated GIF’s. Webcam Recording – Whether it’s a video call with a client, doing a group discussion with teammates or doing an interview via webcam now you can record all. Audio Recording -Add your own voice to your video and show your talent to the audience using audio recording feature. Add your own objects in images or edit an object present in existing images. Move, edit or delete an object on your screen. Adjust and change the size, color, font, and a number of words of text. With a Magic Wand Tool remove the background or replace the color in your objects. Adjust the pixels and resize the images according to requirement. 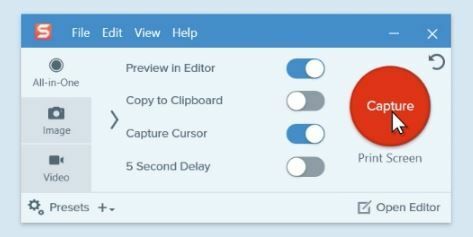 After testing all the features our experts advised that Snagit is the best screen capture and screen recorder tool which has all features from basic to advanced that can resolve your problem of taking screenshots, editing images, recording audio, and video etc. A lot of alternatives are available which are completely free but I’m sure you will definitely love after downloading Snagit as a lot of interesting and cool features are available in this powerful tool. The overall software is easy to install although it’s costly.